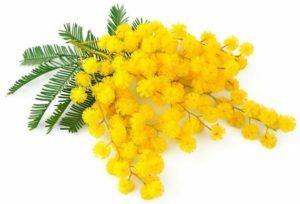 In Italy, to celebrate the International Women’s Day on March 8th, men give to women the mimose. However.. Do you know why, of all the types of flowers , the mimosa was the one chosen as the “typical gift” for this special day? As you can perfectly see, the flowers of the mimosa are very bright and cheerful! They look very delicate, but they are actually very strong! Just like women! In 1946, the U.D.I. (Unione Donne Italiane = the Union of Italian Women) was looking for a flower that could represent the first Women’s Day, after the war. The choice was almost forced: the mimosa is one of the few plants that blooms at the beginning of March. Moreover, it had the advantage of being very cheap given the situation oh the period. If you want to learn more about Italian traditions and cultures, take a look to our culture courses!